I have been working in the fashion industry since 2003. I started as a Design Assistant/Patternmaker in late 2004, and then continued to develop my Patternmaking skills from there. My experience ranges from Melbourne Boutique Labels to London High Street Fashion. I am currently working at an established Melbourne designer label. My experience covers manual Patternmaking for local and offshore production. 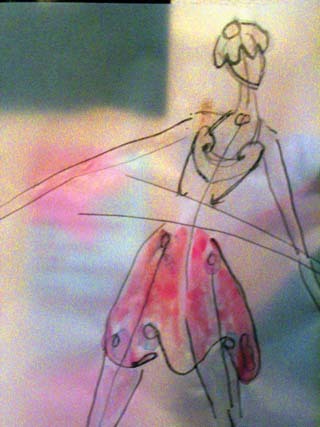 I can work from sketches, photos, garments, and designers instructions to confidently interpret the brief. I have recently started using the GERBER CAD system. I have strong interpretation skills and enjoy bringing designs to life. I use intuition, creativity and technical knowledge when creating patterns. I am passionate about what I do and love to be in a challenging environment, with interesting people who care about their work. My aim is to continue building on my skills and knowledge in all areas of design development and production to become a highly skilled professional in this area. Please contact me for an updated CV or for any further information. I have also put together a collection of images in the Folio page to give a visual idea of my work.